Dr. Charles J. Camarda received his bachelor’s degree in aerospace engineering from Polytechnic Institute of Brooklyn in 1974 and began working immediately for NASA's Langley Research Center (LaRC). During his time there, he completed his formal education, receiving his master’s degree in engineering science from GW in 1980 and his Ph.D. in aerospace engineering from Virginia Polytechnic Institute & State University in 1990. In 1989, he was chosen to lead the Structures and Materials Technology Maturation Team for the National Aero-Space Plane (NASP) program, and in 1994 he was asked to head the entire Thermal Structures Branch at LaRC. 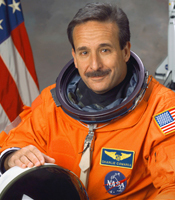 In 1996, NASA selected him as an astronaut candidate, and during the period prior to his mission, he performed various roles at Johnson Space Center, including serving on the Expedition-8 back-up crew and as director of engineering. From July 26 to August 9, 2005, Dr. Camarda flew as MS-5 on the Return-to-Flight mission STS-114 Discovery, logging more than 333 hours in space. Dr. Camarda has received more than 21 NASA awards for technical innovations and accomplishments, and he currently serves as the senior advisor for innovation to the Office of the Chief Engineer at NASA Headquarters. 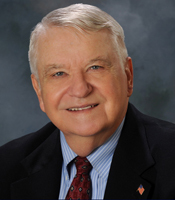 Mr. Donald B. Dinger spent his career in positions of increasing responsibility in the U.S. Army Civilian Service, where he used his engineering expertise to guide the Army in establishing and operating critical military technologies. In the early 1960s, he was the project head in a Nevada Test Site nuclear weapons effects test that led to the establishment of a major Army program, which he subsequently directed. He later was selected as a charter member of the U.S. Government Senior Executive Service and served in the top civilian position at a major Army Research and Development Command and at a major Army technical intelligence organization. He also served as the director of a major corporate research laboratory of the Army Materiel Command. In his leadership positions, he was recognized by the Army with the highest level awards for Exceptional and Meritorious Civilian Service. After retiring from the Army in 1988, Mr. Dinger acted as a consultant to the U.S. defense industry and served on technical advisory panels to help transfer critical military technologies to commercial applications. Mr. Dinger received his bachelor’s degree in electrical engineering from the University of Rhode Island in 1958. He received his master’s of science in engineering and the Applied Scientist degree from GW in 1964 and 1978, respectively. Mr. Amr A. ElSawy has extensive experience leading organizations and developing innovative solutions to complex challenges in the public sector. 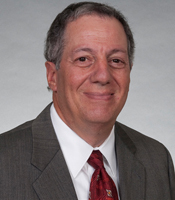 Since 2007, he has led Noblis, Inc. as its president, CEO, and a member of its Board of Trustees. Under his leadership, Noblis has been selected several times as one of the "50 Best Small and Mid-size Companies to Work for in America," and in 2011, it was again named one of the "World's Most Ethical" companies by the Ethisphere Institute. Before joining Noblis, Mr. ElSawy served for seven years as director of the FAA's Federally Funded Research and Development Center (FFRDC). From 1987 to 1997, he served in various senior management positions for the MITRE Corporation's Center for Advanced Aviation System Development. He was named EcoCEO by SmartCEO magazine in 2001, and was named to the Washingtonian Tech Titan list in 2011. 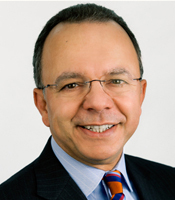 Mr. ElSawy earned his bachelor's degree in electrical engineering in 1977 from West Virginia University, and his master's degree in the same field from GW in 1981. He received an MBA from Georgetown University in 1998. Professor Douglas L. Jones has been affiliated with the GW School of Engineering and Applied Science for more than 50 years, beginning as a part-time undergraduate student and eventually earning three degrees in mechanical engineering from GW: a bachelor’s degree in 1963, followed by a master’s degree in 1965 and a doctoral degree in 1970. He joined the SEAS faculty in 1968 as an assistant professor and rose through the professorial ranks, ultimately serving as the associate dean for academic affairs. Over the course of his career, he taught and conducted research in solid mechanics and materials science and in mechanical engineering design. Professor Jones was the principal or co-principal investigator of many research grants, directed 25 master’s theses and doctoral dissertations, co-authored an engineering textbook and more than 70 journal articles and conference proceedings, and helped establish a computer-aided design program in the Department of Mechanical and Aerospace Engineering. He is an elected member of the Theta Tau Professional Engineering Fraternity Hall of Fame and has received numerous service and achievement awards from GW. 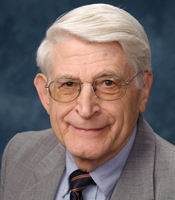 Professor Jones retired in 2004 as professor emeritus of engineering and applied science. Mr. Howard L. Tischler is an entrepreneur with more than 30 years of experience in software product development and business start-ups. In 1986, he co-founded Intelus, a document management systems company. Intelus developed the first hospital-based electronic medical record system, and Mr. Tischler subsequently sold the business to SunGard in 1995. In 2000, he became president and CEO of Credit Online, an internet-based financial exchange connecting car dealers and lenders. He merged Credit Online with DealerTrack in 2003, and has remained at the company as the lead director. Mr. Tischler is currently the chairman and CEO of Enfocel, an Internet-based software and marketing firm he founded in 2009. Later this year, he will introduce eXscan, an innovative product that will guard against the growing epidemic of elder financial exploitation. Mr. Tischler earned his bachelor's degree in mathematics from the University of Maryland in 1975 and his master's degree in operations research from GW in 1980. He is the immediate past chairman of the SEAS National Advisory Council. Mr. Bill C. Westenhofer is an accomplished visual effects supervisor and the winner of both the 2013 and the 2008 Academy Award® for Achievement in Visual Effects. 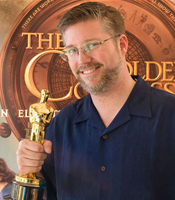 Mr. Westenhofer received the 2013 Academy Award® for his work on "Life of Pi" and the 2008 Award for “The Golden Compass.” He was previously nominated for an Academy Award® for his efforts on the “The Chronicles of Narnia: The Lion, the Witch and the Wardrobe” (2005). His work has appeared in a long list of Hollywood movies, including “Elf,” “Stuart Little” and “Stuart Little 2,” “Men in Black II,” “Babe: Pig in the City,” “Land of the Lost,” and many others. Beginning as a technical director at Rhythm & Hues Studios in Los Angeles, CA, he worked his way up in the studio through digital artist and computer graphics supervisor to his current position as a visual effects supervisor. Mr. Westenhofer earned his bachelor’s degree in computer science and engineering from Bucknell University in 1990 and his master’s degree in computer science from GW in 1995.